Shoot for the moon, and if you miss you can play the phenomenal Starburst slot. 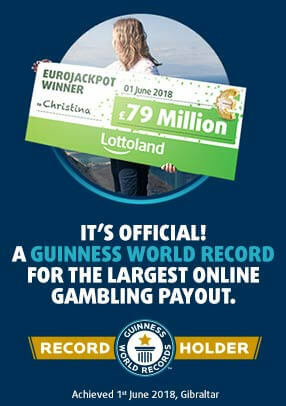 With a jackpot of €100,000 up for grabs, this game could make your dreams come true. Starburst is another out of this world slot that comes with a blistering reel mechanic. With red hot animations and some of the wildest feedback you’ll see from any game, this title has the power to electrify the grid with every single spin. Use the COIN VALUE button to set you coin size, ranging from 1c to €1. The BET LEVEL button allows you to assign between 1 and 10 coins per line, giving you a complete bet range of 10c-€100. Hit the SPIN button to commence your game. The reels will spin and land into a new state. Any wins are first calculated and prizes paid, bonus respins are then triggered. AUTO-PLAY is available, putting the Starburst slot into automatic spin mode. 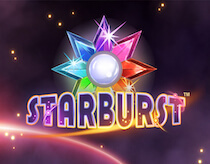 Why not try out the Starburst slot on free play mode, allowing you to explore the game-play and respin rounds? Starburst doesn’t have a traditional bonus feature. This crazy, futuristic slot has a respin system that has the potential to activate on any standard spin. When you hit the stacked wilds on any of the middle three reels, you’ll be paid out any prizes as standard. The stacked wilds then lock in place and the remaining reels respin giving you a second chance to win. If you stop in an additional set of stacked wilds, then you’ll not only hit some massive combinations, but you’ll earn a further respin. With a maximum of three respins available, this clever mechanism has some serious pay-out power.